Home News & Stories Learn, Implement, Experiment – That is the motto engineers live by! Learn, Implement, Experiment – That is the motto engineers live by! A trip to China for the ASES Zhejiang Summit 2017 was a dream-come-true for someone like me who is bitten by the travel bug, enthusiastic about different cultures and passionate about entrepreneurship. 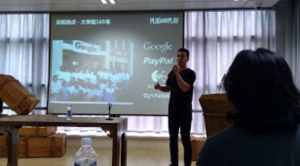 Participating in the Asia-Pacific Student Entrepreneurship Society Summit (ASES) 2017 at Zhejiang University in Hangzhou, China was a very holistic experience. It served as a platform to meet people who are very passionate about entrepreneurship; it was platter filled with a diverse set of ideas seasoned with quirkiness and creativity. Who would have thought that something as simple as biking could be connected to raising funds for an NGO or something as smart as giving an opportunity to a traveler to be your personal shopper! My visit to China was full of surprises, insights and collaborations, and because the diverse set of experiences I had are hard to condense into just a few sentences here, I composed this detailed blog through-and-through of my experience there! In short: Great ideas were formed, nurtured and launched at the summit, which inspired me as a Melton Fellow and a ASES delegate to do something for my community and – most importantly – spark a conversation with respect to our learning and potential! 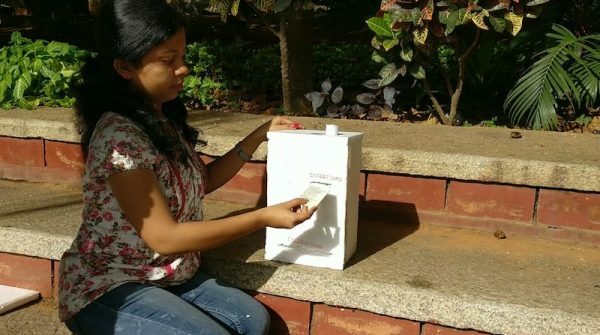 Back in India, I convened a group of students at BMS College of Engineering in Bangalore to tackle a loose change issue we’ve been observing for a long time. Why? Because many local shopkeepers either claim to have no change or offer you candies in lieu of it, which frequently leads to frustration among shoppers. As a team, we put our heads together on how we can make a meaningful difference and address this issue with a win-win proposition. We developed a very simple prototype that uses an identification card to tender coins of various denominations. Using basic material, the model was very simplistic, which would be easy to explain to people from all backgrounds and age groups. Considering that digital payments are the trend, we also realized that many are still unaware of these modes of payments or are hesitant because they fear the technology. 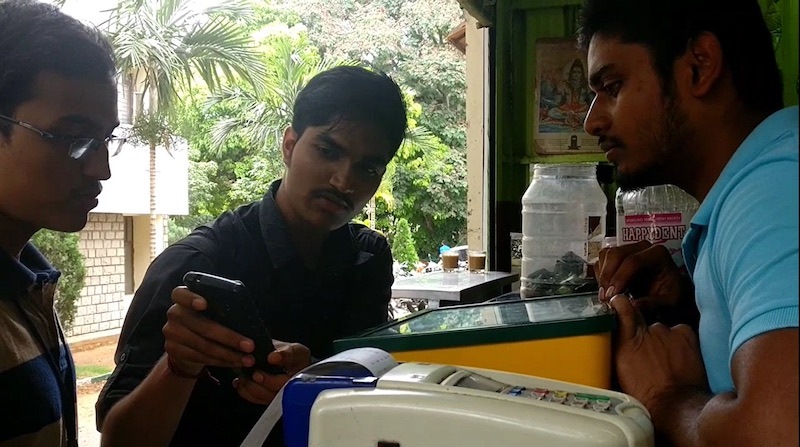 So, some members of our team set out to interact with shopkeepers in and around BMS campus to not only teach them about these technologies but also to help them implement them. 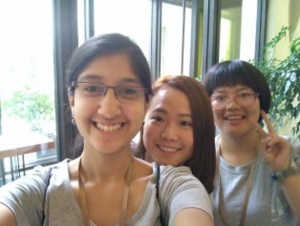 Ranjini Rao HS together with ASES 2017 delegates – mission accomplished! While we are yet to see the impact of the intervention, I can say that having transformed the insights from the ASES Zhejiang Summit 2017 into a collaboratively, solution-oriented approach to a given issue and garnering people with a similar school of thought in the process, has been highly reassuring. The Melton Foundation gave me the push that I required to make this happen and the experience enabled me to think and act rather than just restrict my ideas to musings.